It may be a compact alternative to the L500, but has downsizing taken away any of the original’s appeal? Andy Coules investigates. 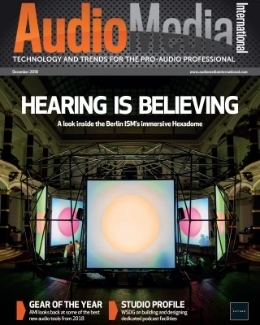 When Solid State Logic announced its entry into the live sound arena a lot of people were understandably excited about the prospect (myself included). 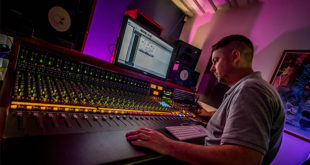 SSL is well known for providing high-quality pro-audio gear and has an impressive history of innovation, particular in the area of mixing desks. The manufacturer’s first live digital console, the L500, was well received, and now along comes a (slightly) smaller brother, the L300, complete with a version 2.5 firmware, which delivers better FX optimisation and 27 new features and updates to the platform. V3 of the firmware was released at Prolight + Sound last month. Operationally the two consoles are very similar, they run the same software and the control surfaces have the same five basic components: two fader tiles with 12 channels each (although the L500 has an optional third fader tile), a 19in multi-touch screen, a channel control tile and a master section (which houses focus and master faders, shortcut keys, numeric entry keypad, solo and scene recall controls). The layout differs from the L500 insofar as the two fader tiles are on the horizontal surface while everything else is on the angled surface. The main differences between the two models are physical size (the L300 is slightly smaller), available channel paths (192 on the L300 whereas the L500 Plus has 256), screen brightness (the L300 is capable of producing 600 Nits whereas the L500 does 1,500) and available I/O. 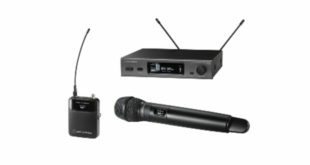 The L300 comes with 16 local mic/line XLR inputs, 16 XLR line outs, four pairs of AES/EBU, eight coax/optical MADI ports (grouped in redundant pairs), a dedicated MADI FX loop and an option to add a redundant pair of Blacklight connectors. This means that it can handle, with the appropriate stage boxes, up to 568 inputs and 568 outputs (compared to the 962 ins/outs of the L500). If the optional Dante interface is added the maximum inputs and outputs for the L500 is 962 + 32 and the L300 is 568 + 32. The I/O architecture is based on ‘paths’ which can be assigned as channels, stem groups, auxes or masters and can be configured as mono, stereo, LCR, 4.0 or 5.1 where a mono channel uses one path, a stereo two and an LCR three, etc. 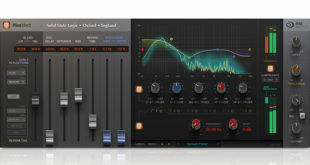 The L300 has 192 mix paths (at 96kHz), 144 of which have full processing and 48 are dry. A full processing path has nine blocks: filter, EQ, gate, compressor, insert A, insert B, fader, all pass filter and delay whereas a dry path just has three: insert A, insert B and fader (although EQ and dynamics can be added as inserts). One interesting feature is that the order of these processing blocks can be changed on a per channel basis by muting the channel and dragging and dropping the blocks. Each fader tile has five scrollable layers of five banks and each fader has a detailed level meter next to it as well as gate and compressor state indicators. There is also a query button (denoted by a capital Q) which, when pressed, shows what is routed to and from the fader. Basic operation revolves around the central touchscreen with logical touch controls as well as double taps and holds. The touchscreen behaves a lot like an app which encourages you to grab, pinch and manipulate things. The channel control tile features a 5.7in touchscreen surrounded by 15 knobs, which gives quick access to key channel parameters such as EQ, gate, compressor, all pass filter, etc. It includes all of the usual features you would expect on a console but there are a number of interesting ones too. The high pass and low pass filters have three choices of slope values: 24, 18 and 12dB per octave which is a nice touch, the 12dB slope is perfect for negating the proximity effect. The compressor has a nifty ‘tube’ button which kicks in an analogue tube emulation that adds noticeable warmth to the signal – it works well on bass guitar and kick drum and I can see it being one of those things you end up adding to everything. Then there’s the all pass filter, something I’ve never seen implemented on a live sound console. An all pass filter passes all frequencies equally in gain but changes their phase relationship to compensate for any undesired phase shifts that arise in the signal path. It’s a subtle tool but it’s inclusion on every full path signifies a key commitment to sonic precision. There are a couple of minor things that bugged me, the shortcut keys are not programmable, the top six are dedicated to the tap tempo of the six FX banks and the bottom four select different screens (Ed – they are programmable in V3). Also, the on-screen knobs have no level indication (Ed – a level meter has now been added to the small OLED screen within each channel strip). 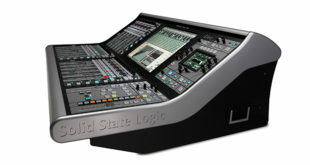 SSL’s entry into the digital live console market is well timed. The company has had time to check out the competition and see what works and what doesn’t. 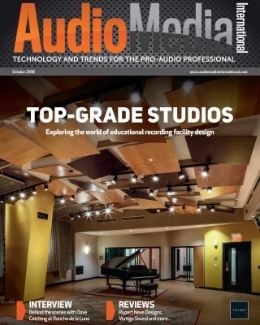 The fact that the amount of DSP now available makes it possible to satisfy the most rigorous demands of live sound engineers can’t be a coincidence. 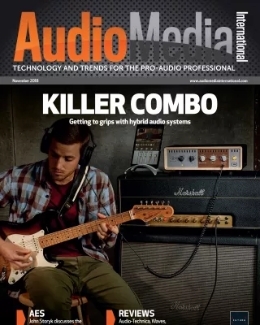 The combination of these two factors have enabled SSL to deliver a relatively mature console with a host of excellent features that encourage a fluid and intuitive workflow with the kind of sound quality you would expect from SSL. Andy Coules is a sound engineer and audio educator who has toured the world with a diverse array of acts in a wide range of genres.